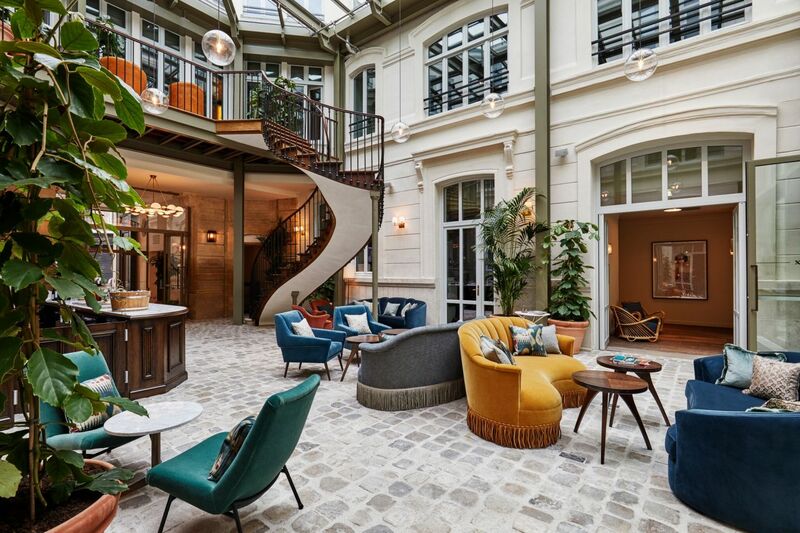 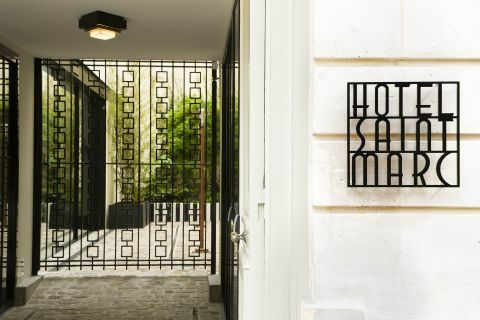 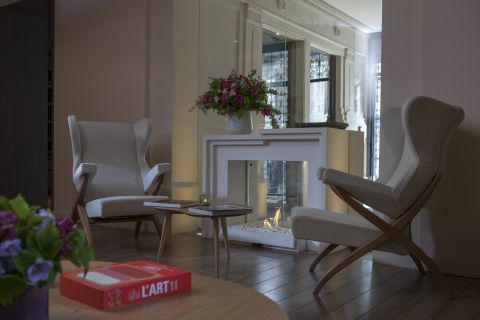 When Monaco-based design agency Humbert & Poyet teamed up with the global, members-only Soho House group for Hoxton Paris, it was with a clear objective in mind: how to preserve the historical integrity of the property’s three 18th-century Parisian buildings, including one hôtel particulier, a designated monument historique by the city of Paris that was originally built for one of Louis XV’s chief advisors, while still enduring the property with a signature Hoxton flair for the shabby chic? 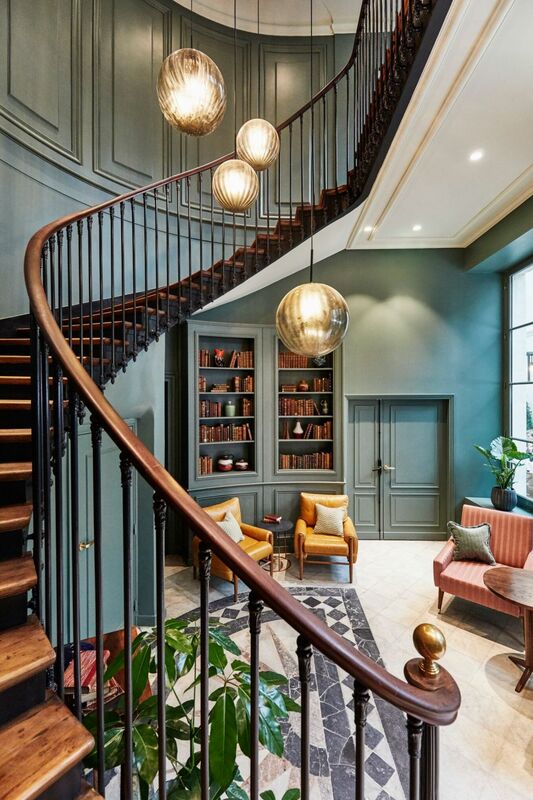 The answer lies in the details. 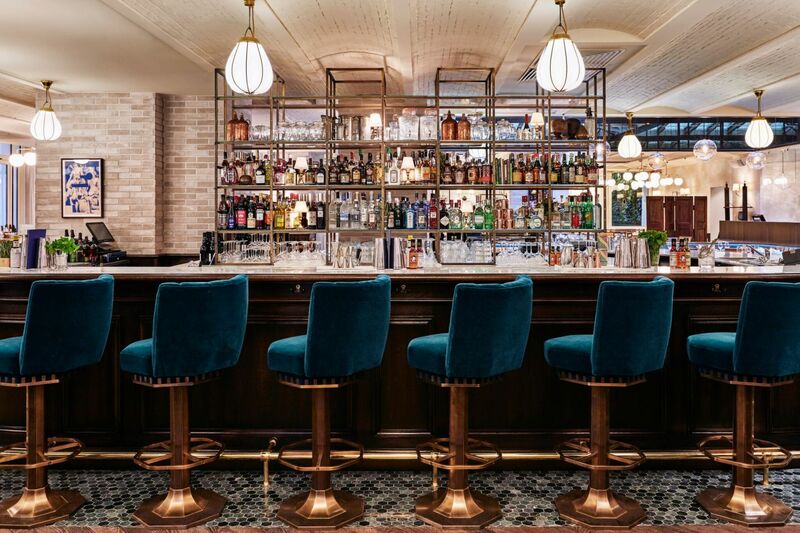 The collaborators restored two 300-year-old staircases, several of the property’s original iron columns and exposed timber beams, and even repurposed original tiles for the backsplash behind the hotel bar, all to remain faithful to the building’s storied legacy, while common spaces, like the courtyard lobby, are beautifully designed and impeccably on-trend. 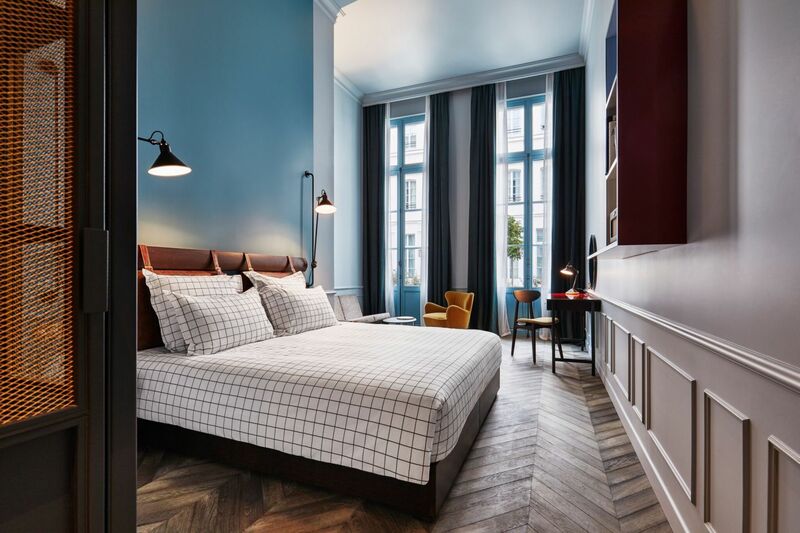 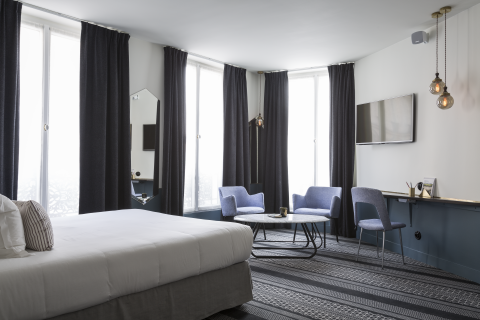 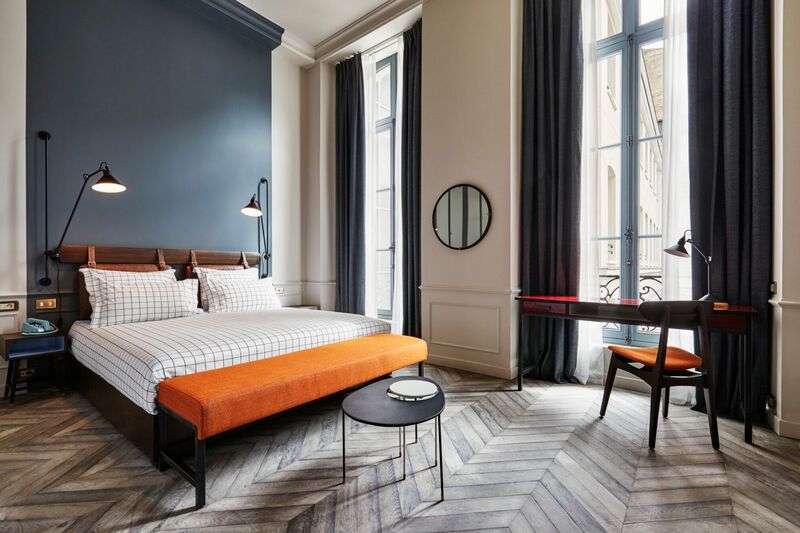 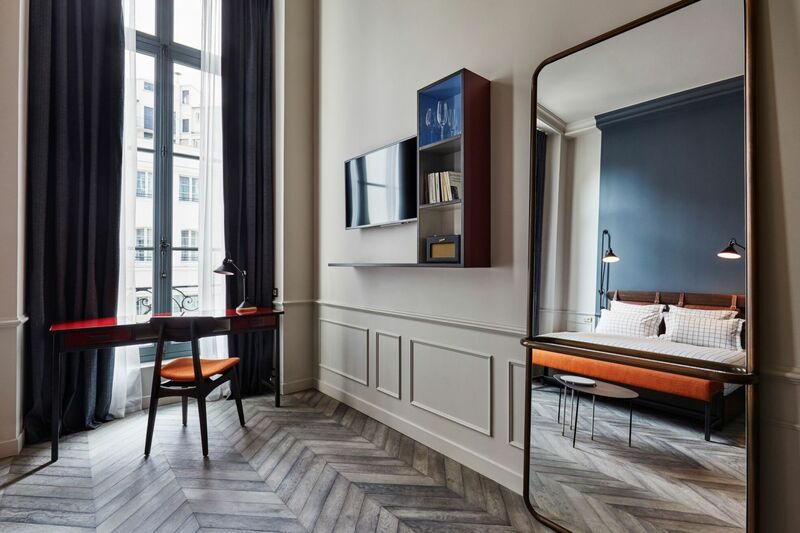 In 172 guest rooms, retro decor like authentic Jean Prouvé furniture, Lampe Gras light fixtures, and reclaimed oak parquet floors reminiscent of 1950s high design strikes a note of nostalgia, while modern amenities still anchor each space. 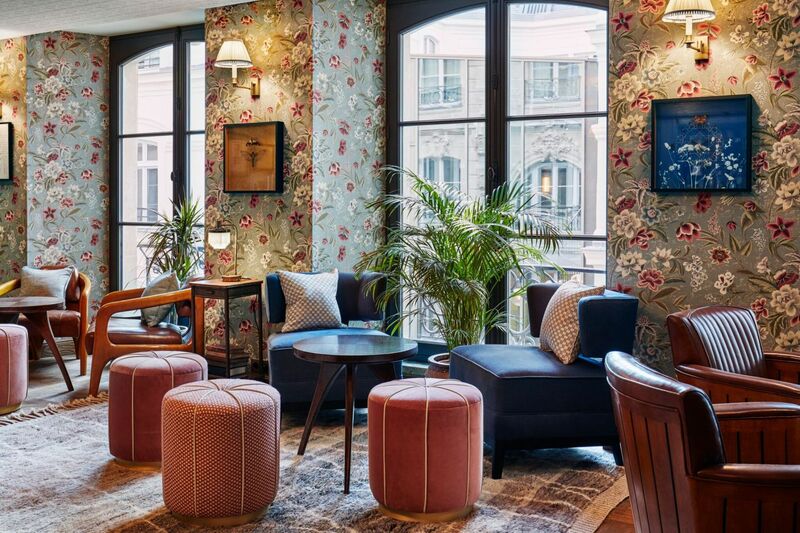 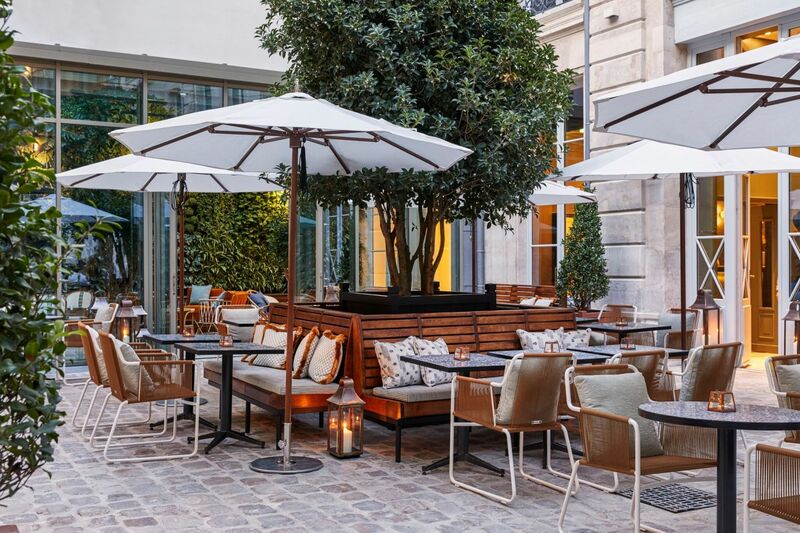 Rivié, the on-site restaurant, is an elegant spot for seasonal French fare, but up in the Jacques’ Bar, distressed floral wallpaper, tasselled lamps, fluted loveseats, and exotic greenery transport guests to a land far away from the 2nd arrondissement.